California Budget Perspective is the Budget Center’s annual “chartbook” publication that takes a wide-ranging look at the Governor’s proposed state budget. 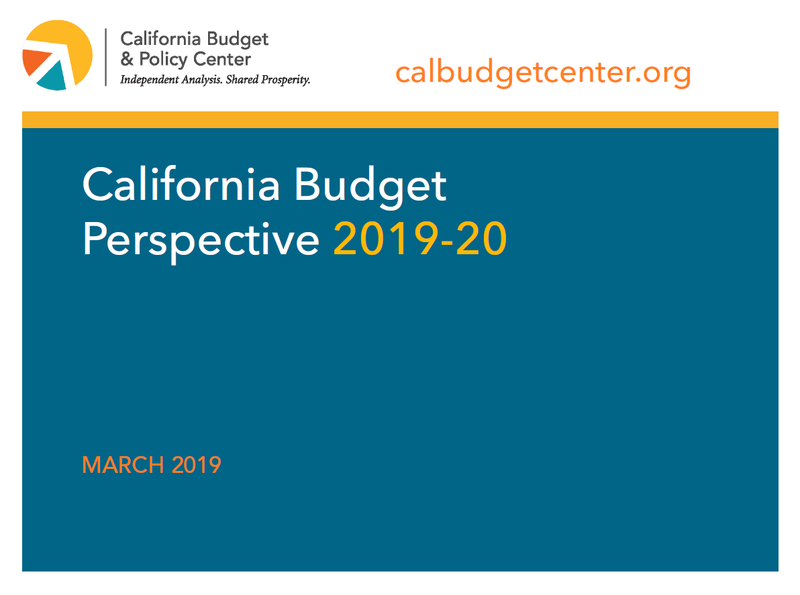 California Budget Perspective 2019-20 examines the social, economic, and policy context for this year’s budget; discusses key elements of — and priorities reflected in — the Governor’s proposal; and highlights issues to watch in the coming months. Read California Budget Perspective 2019-20.